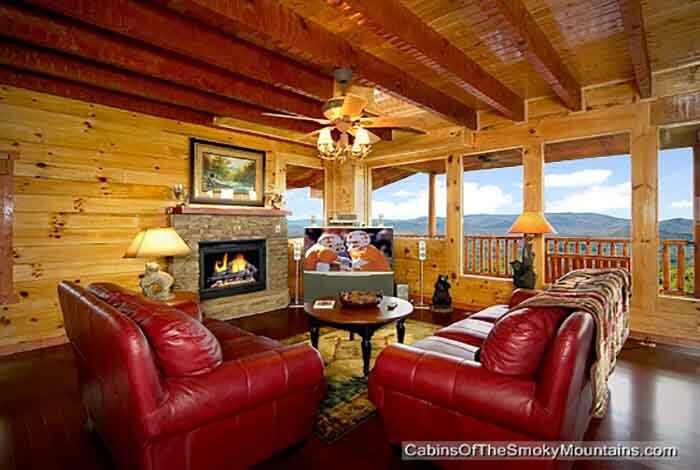 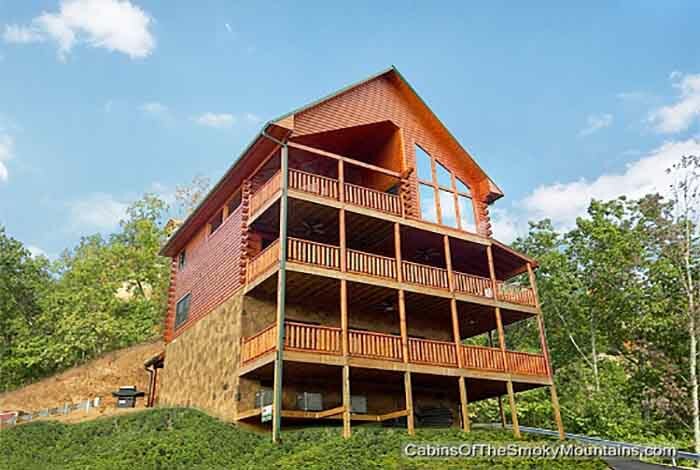 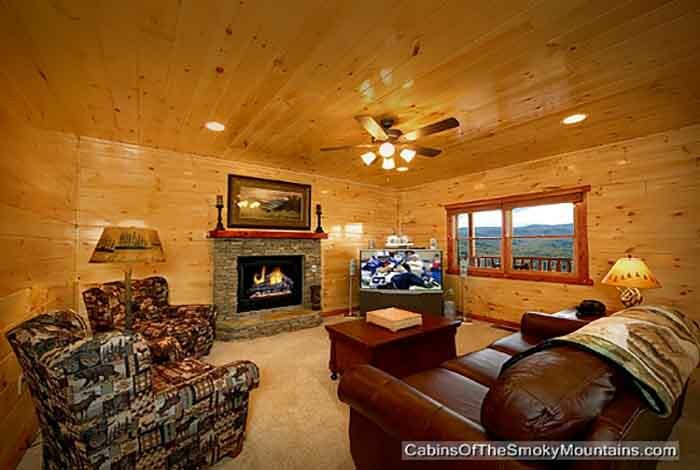 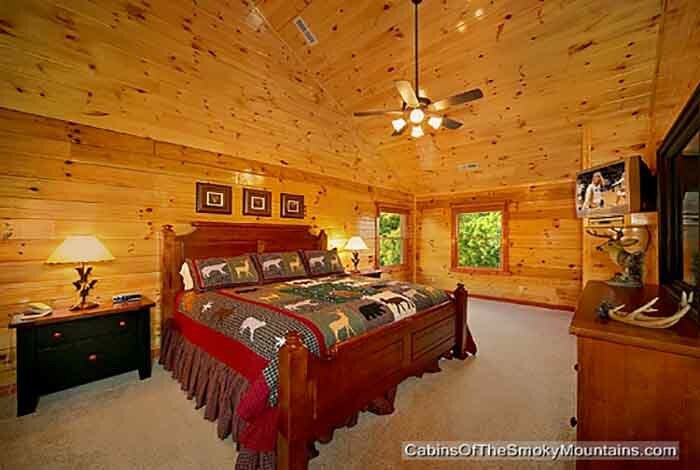 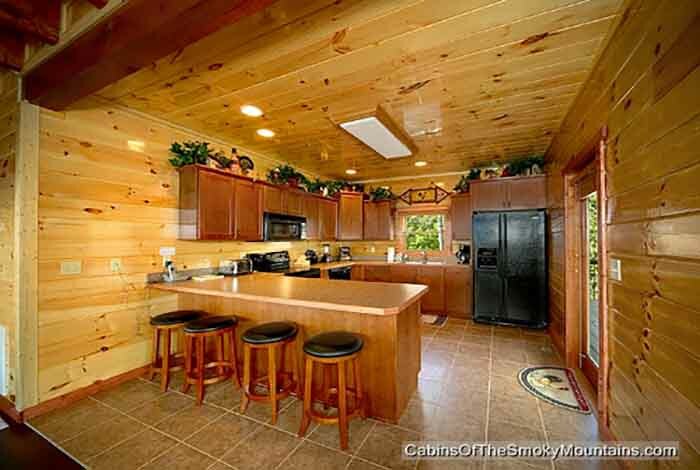 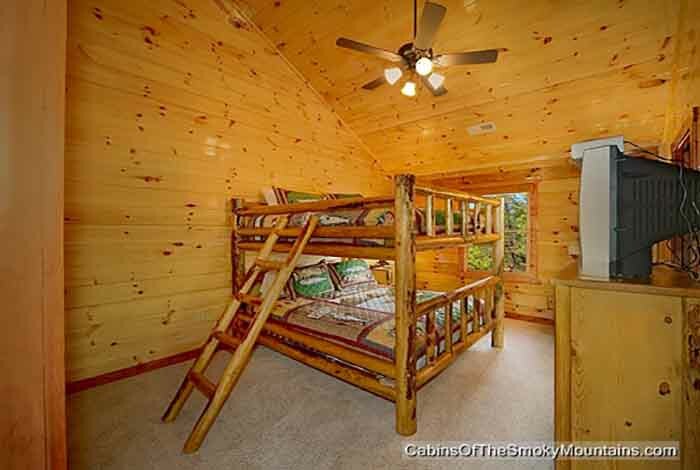 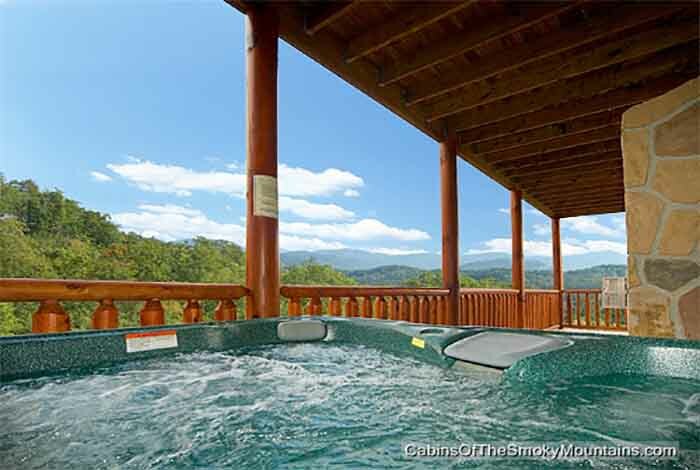 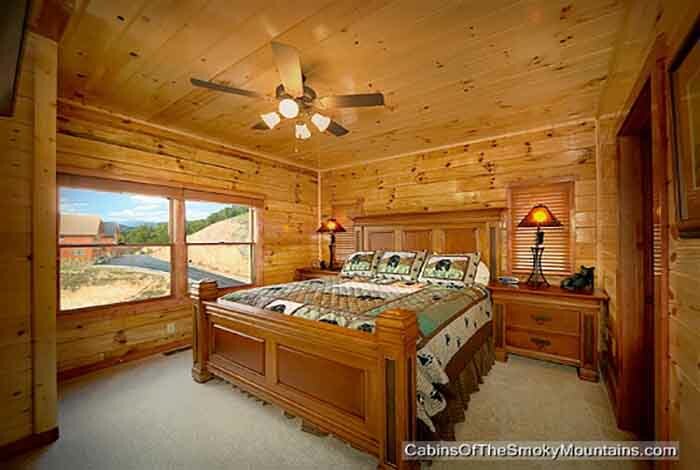 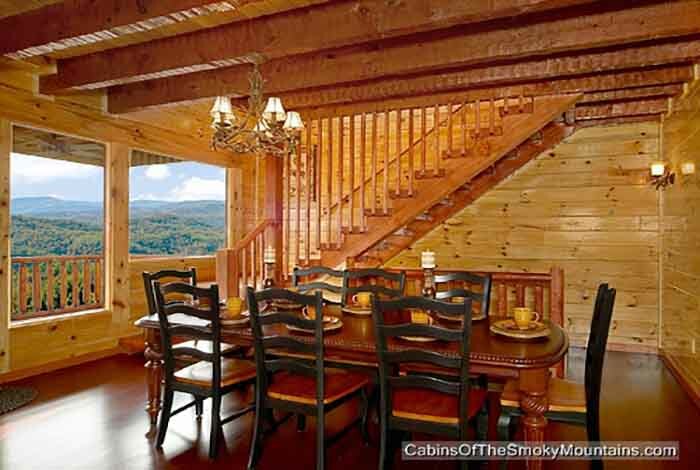 Be sure to bring the whole family to this 5 bedroom Pigeon Forge cabin. 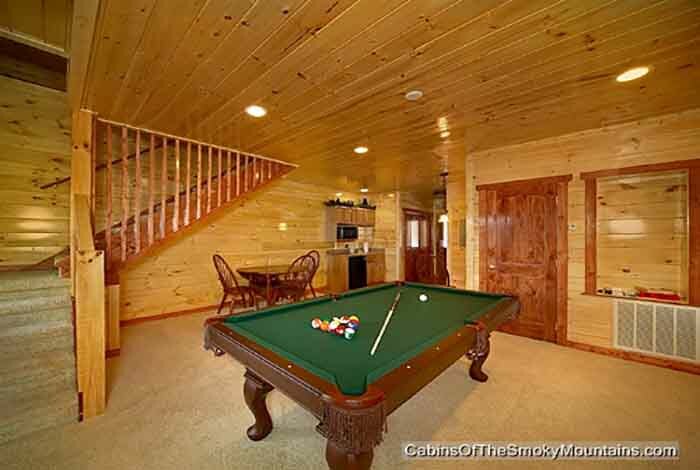 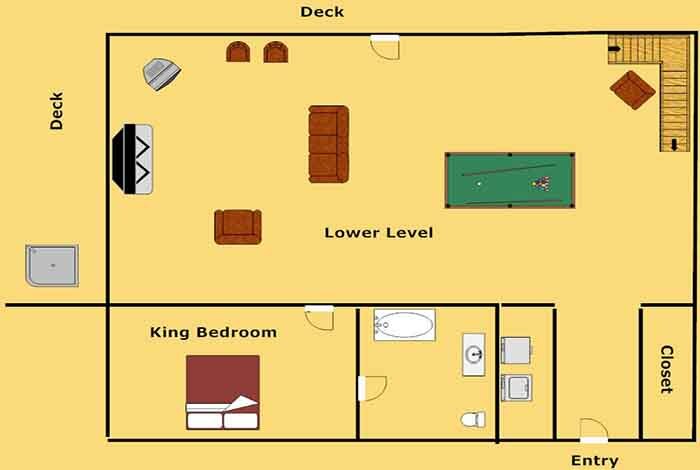 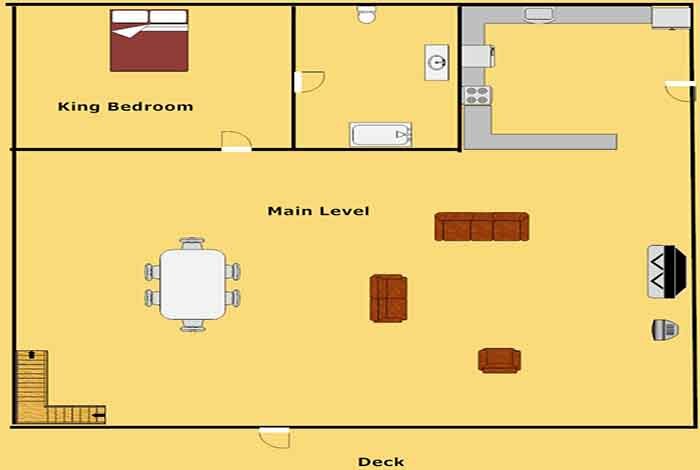 Entertain them in the cabin with the hot tub or a game of pool. 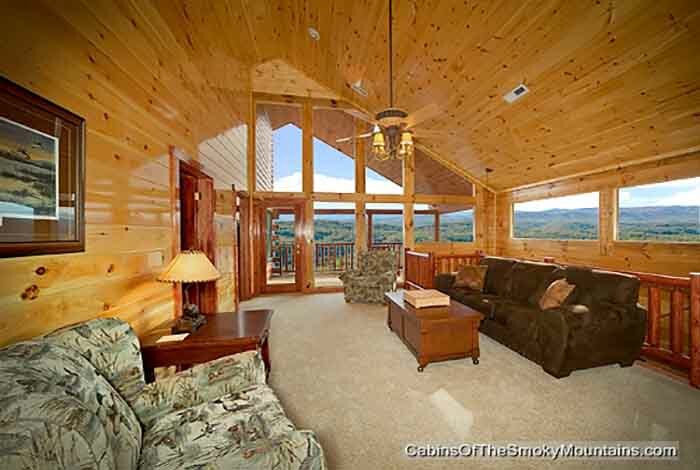 Then warm up by the fire as you gaze at the stars and the highest peaks in the Great Smoky Mountains National Park. 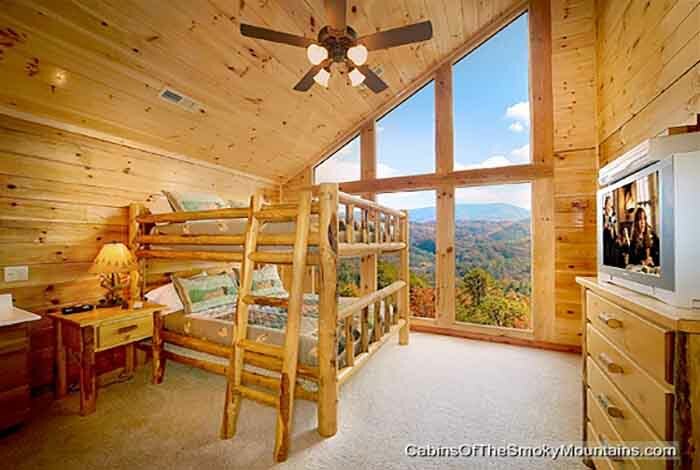 The Window to Heaven will give you a view of Mt. 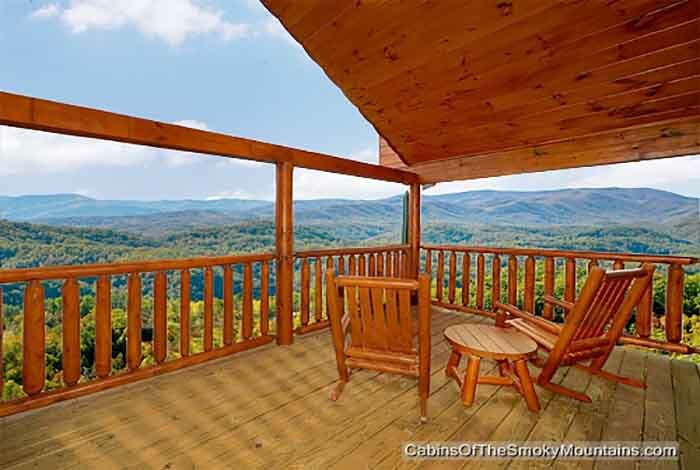 Leconte that will make you feel like you can see all the way to heaven. 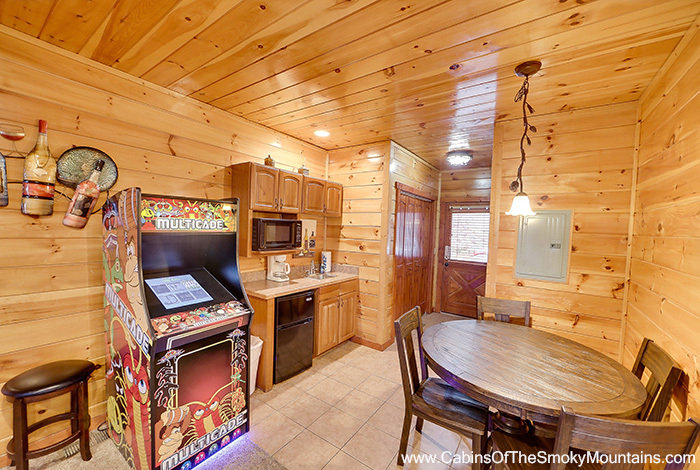 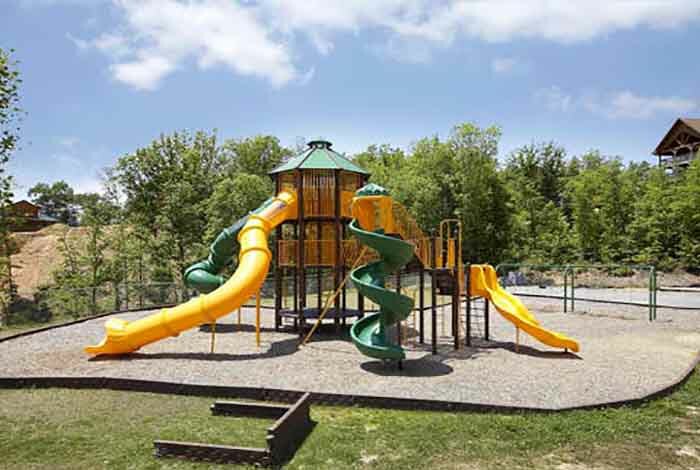 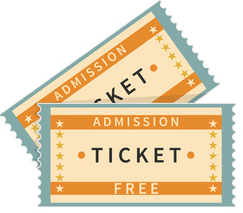 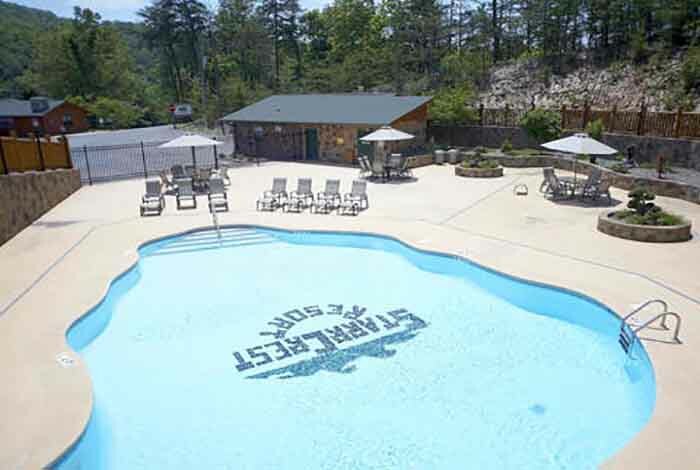 Fast paced entertainment is available just a short drive into Pigeon Forge or Gatlinburg. 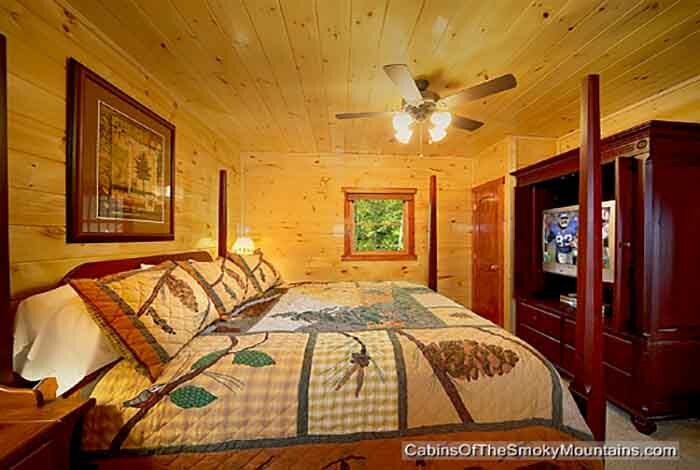 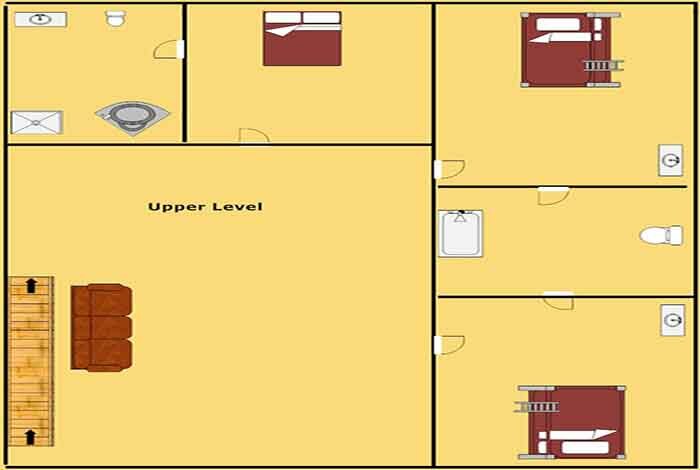 Enjoy these luxury accommodations today at the Window to Heaven.